Whether done literally or figuratively (by saying “pooh, pooh, pooh”), spitting three times (a mystical number) is a classic response to something exceptionally evil or good. For centuries, Jews have performed this ritual in response to seeing, hearing, or learning of something terrible and as a prophylactic measure to prevent such a tragedy from happening or recurring. 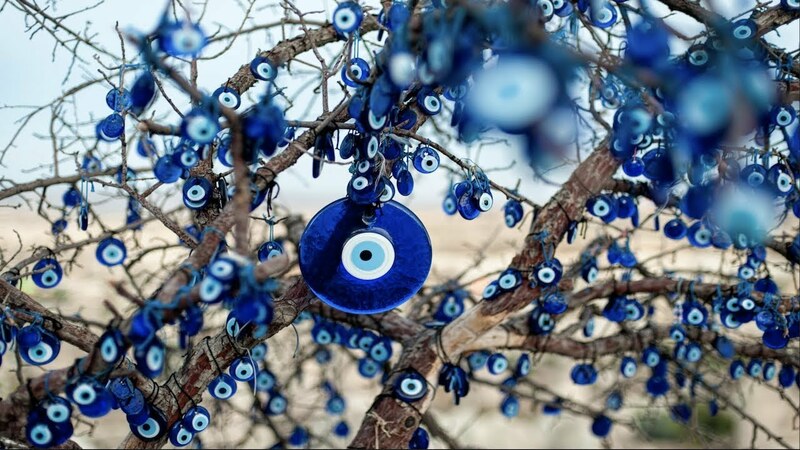 Ironically, it is traditional to perform the same action in response to something wonderful—such as good news or the birth of a beautiful and healthy child—to ward off the Evil Eye. Spitting was long considered a potent protector against magic and demons. Ancient and medieval physicians, including Maimonides, described the positive values of saliva and spittle. However, this popular Jewish superstition may well have originated from the Christian Bible, which mentions the miraculous power of the spittle of Jesus. “And they bring unto him one that was deaf, and had an impediment in his speech….And he took him aside from the multitude, and put his fingers into his ears, and he spit, and touched his tongue; and looking up to heaven, he sighed, and saith unto him, Ephphatha, that is, Be opened. And straightway his ears were opened, and the string of his tongue was loosed, and he spoke plain” (Mark 7:32-35). A popular bubbe meise (old wives’ tale) is chewing on a piece of thread whenever one is wearing a garment upon which someone is actively sewing-such as attaching a button or repairing a seam. This practice may relate to the Yiddish phrase “mir zollen nit farnayen der saychel,” meaning that one should not sew up the brains (or common sense). Another explanation is that burial shrouds are sewn around the remains of the deceased. Actively chewing while another is sewing on one’s garments is a clear indication that one is quite alive and not yet a candidate for the grave. Especially common among Jews from Galicia and Lithuania, the practice of pulling on one’s ears when sneezing has engendered heated arguments. Should one ear or both be pulled (or tugged) and should one pull up or down? The reason for this custom is unclear. Originally, it was performed if the sneeze occurred when speaking about one who was dead. However, tugging has long been extended to all sneezes and is usually accompanied by reciting the Yiddish phrase “tzu langehmazaldikker yohrn” (to long, lucky years). Midrashic legend maintains that a sneeze used to announce impending death: “The story is told that until the time of Jacob, a person, at the close of his life,sneezed and instantly died.” Some ancient peoples believed that the”little explosion in the head” ensured approaching eternity. Rather than a mere irritation of the nasal passages, a sneeze was deemed a grave omen. Indeed, this may be the underlying reason for the development of the custom of saying “long life” and “good health” to one who has sneezed. A traditional belief is that when a person sneezes during a conversation, whatever has just been said will occur, based on the concept of “sneezing on the truth.” While not as foolproof as direct prophecy, it is said to indicate that events that are rational and plausible will actually come to pass or that an event that has already occurred really happened just as the story related. Closing prayer books, Bibles, and talmudic tracts is a common practice in synagogues and study halls. The explanation appears to be related to the medieval fear of the evil power of devils and demons, who would take “holy knowledge” and somehow use it for their own nefarious purposes. Demons and similar creatures were known to reside in new houses and cause such chaos that people were actually paid to live in them before the arrival of their intended occupants. Because salt was generally regarded as having superb powers against evil spirits, it was often placed in the corners of a room where these creatures hid. The same reasoning applied to new clothes, where smaller goblins and elves could secret themselves in pockets. By placing a small amount of salt in the pockets, the owner of the clothing hoped to drive these beings away and foil their evil designs. In some communities, a safety or straight pin is attached out of sight under a shirt collar or on a sleeve before taking a journey. Metal was thought to be a powerful protective substance. According to the renowned Eleazer of Worms (a leader of the pietistic Hasidei Ashkenaz of the medieval period), metals were the products of civilization and thus could successfully attack and repel the evil spirits of a less sophisticated society. The protective power of metal also can be derived from the biblical discussion of the first plague, in which God states that all water stored “in vessels of wood and stone” (Exod. 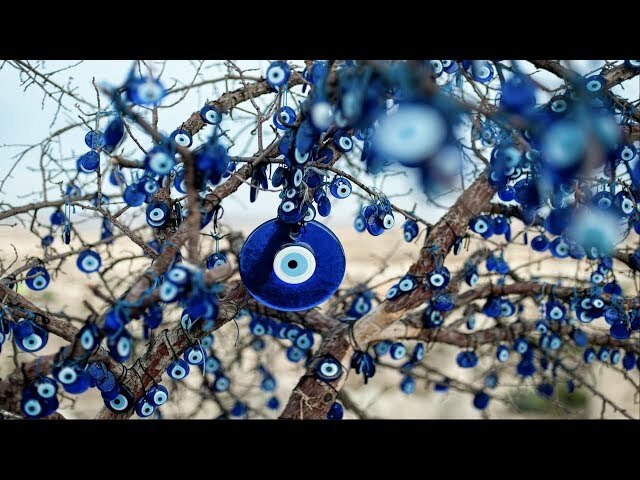 7:19) will turn to blood. According to this, metal receptacles are not mentioned because they must have protected the water from changing. Another explanation is that metal means luck, since “barzel” (the Hebrew word for iron) is an acronym for the names of four of the mothers of the Children of Israel (Bilhah, Rachel, Zilpah, and Leah), who could ward off all dangers to their progeny. Knocking on wood to protect from evil is a non-Jewish practice, even though many Jews do it. Many connect this action to Christian beliefs that relate wood to slivers of the cross, which were believed to bring good luck. However, this practice has a more universal, pantheistic origin. Long before the time of Jesus, some cultures regarded trees as gods; believers were convinced that touching (or knocking on) wood could produce magical results. Reprinted with permission from Jewish Traditions: A JPS Guide, published by the Jewish Publication Society. The idea that a person or supernatural being can cause harm with a mere look — and the practices believed to ward it off. Making men of clay: Can imitating God extend to the creative realm?